how can i add the phone number or other questions like “date of birth” to the wait list pop-up? where do i have to put a code snippet? In functions.php of the theme or the EE plugin? how can i add the phone number or other questions like “date of birth” to the wait list pop-up? Whilst you can add questions to the form, it needs to be done through code and its not expected that you will request questions that you will ask on the registration form on the waitlist form. Its intended to allow the user to add their name to the list and then provide their details when needed, so when adding DOB and other questions questions to the list, I’m not sure where you are going to store the answers? Adding code directly to the plugin is almost never the correct answer as when you update the plugin any modifications to any file in that plugin (even if theres no changes to it in the new version of the plugin) will be lost. 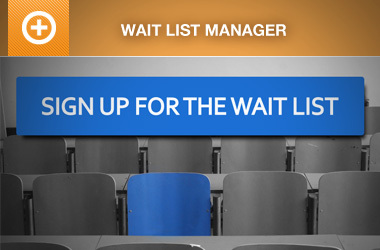 The support post ‘Wait List Manager – asking for phone number’ is closed to new replies.